Discover our super low rate car loan. Now you really can have it all! At Mortgage House we understand that life doesn’t stand still while you’re paying off your home loan. Updating your car is a part of life, whether it’s to accommodate an expanding family or simply a matter of upgrading to a newer, safer model. With our new super low rate car loan you can have the house and a car to put in the garage! It’s easy to apply for a car loan with a great rate through Mortgage House. You will just need a current home loan with any lender. If you can show us you’re chipping away at a home loan, we’ll let you chip away at the car too! Save today with our super low variable rate and get your dream car sooner. Enjoy the flexibility of repayment options such as weekly, fortnightly or monthly. Pay off your loan faster reducing the interest payable over the life of your loan. The Comparison Rate is based on a loan of $30,000.00 over 5 years. Fees and charges may be payable. WARNING: The comparison rate is true only for the examples given and may not include all fees and charges. Different terms, fees or other loan amounts might result in a different comparison rate. I refinanced and the process couldn’t have gone more smoothly, great communication throughout the process made it stress free. All staff very professional and made jargon easy to understand. Not to mention a great highly competitive variable rate that the other lenders couldn’t match. Have already highly recommended to friends. Mortgage House were very helpful. I was extremely nervous about the process of refinancing however, Brij, my consultant made everything easy for me and was really supportive throughout the whole process. The process was also very quick. I would highly recommend Mortgage House. Thanks Jason Seeto for your excellent customer service and support during my Homeloan application! Definitely recommend you for always going above and beyond expectations and being so easy to deal with. Explaining processes and fine lines in detail, ensuring that all information is understood before signing/proceeding. Thanks heaps and look forward to working with you again in future! Having been a disgruntled bank customer for many years – I finally made the decision to switch, my only regret is I should have done it years ago. The process to refinance was easy to follow – my lending officer (Kevin Paredes) did an outstanding job, he was clear and concise and was readily available when required. I have already recommended MH to my family and friends & will continue to do so moving forward. ^ The comparison rate is calculated on a secured loan of $30,000 with a term of 5 years with monthly principal and interest payments. NOTICE: There are currently movements in the marketplace which affect the price of money. Therefore there is a high probability that mortgage rates may increase in 2019. Fixed rate loans are not set (locked in) until loan funds are drawn down. 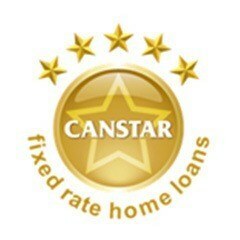 All quoted fixed rates are indicative only and are set from loan settlement.